I know. You live next to a junker, and I feel for you! I vision folks coming home, noting it must be garbage day when they face my place, then gasp and run indoors when they clue in. No, it’s just another junkin’ haul that won’t fit in my garage. Ah well! Let’s face it. 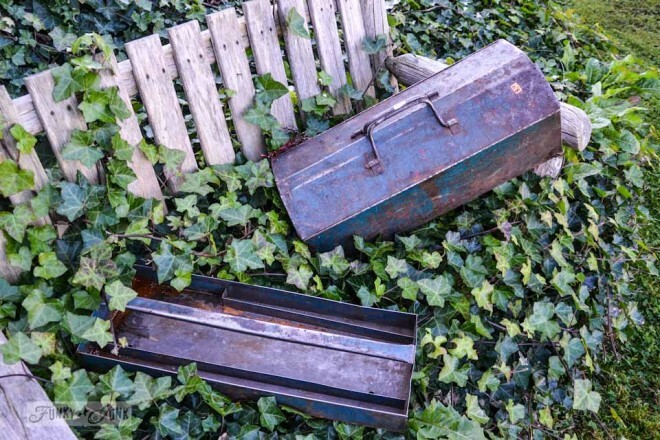 My rusty relics on display are pure beauty to me, but maybe I need to do a little convincing to the non junkers. Is it possible?! 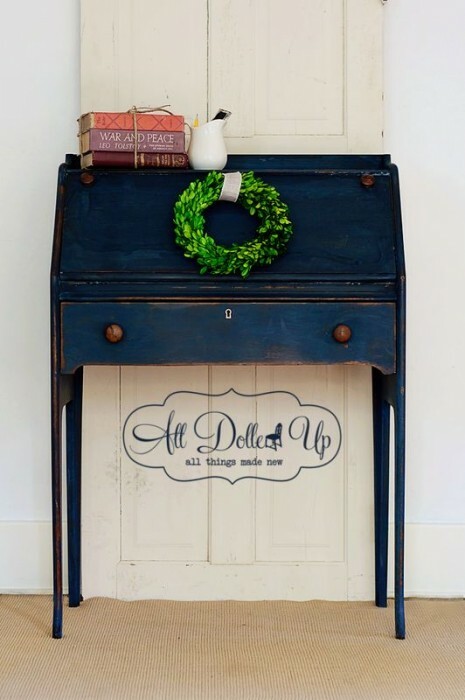 Then I got to thinking… I adore how my buddy Miss Mustard Seed stages her milk paint line. She coats out a dresser, stages it, and introduces the new colour. Genius! Say oh my to Tetanus Shot. Note the matt black, lightly misted with a breath of rusty patina. Complete with a gently curved handle. Decadent! The sticker represents an authentic thrill of the hunt shopping experience. Say hello to Dried Lavender. Say oh my to Saturated Wrench. 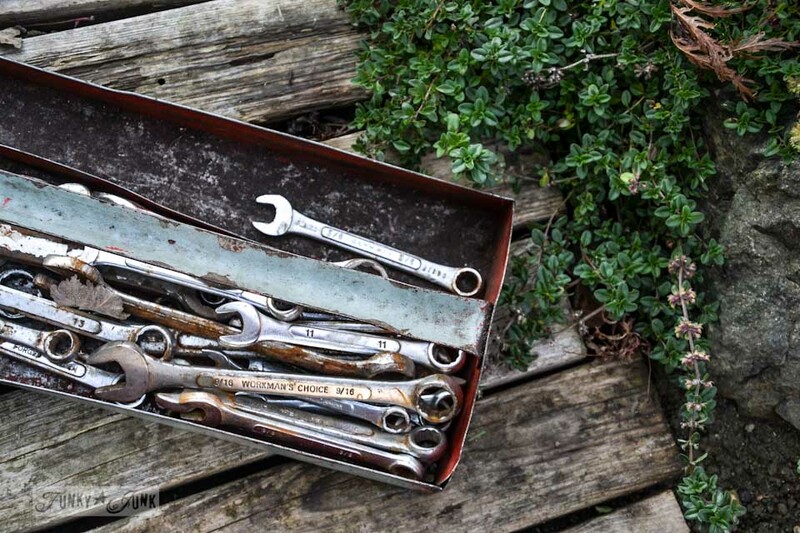 Because you can never have too many rusty wrenches that you’ll never use as a wrench. You know you want this. Say oh my to Art… Oh No! 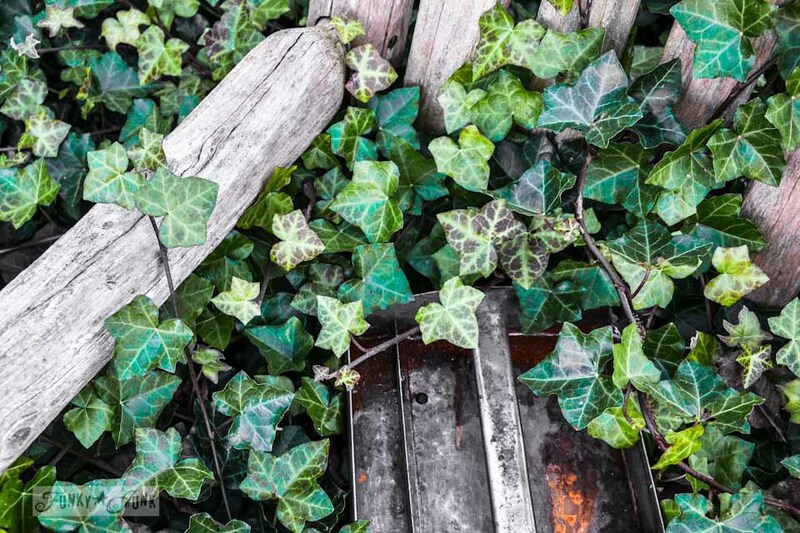 Deep aqua toned metal toolboxes enhanced with shades of rust, rocking amongst a stormy sea of ivy. Why I do not Oh Know. 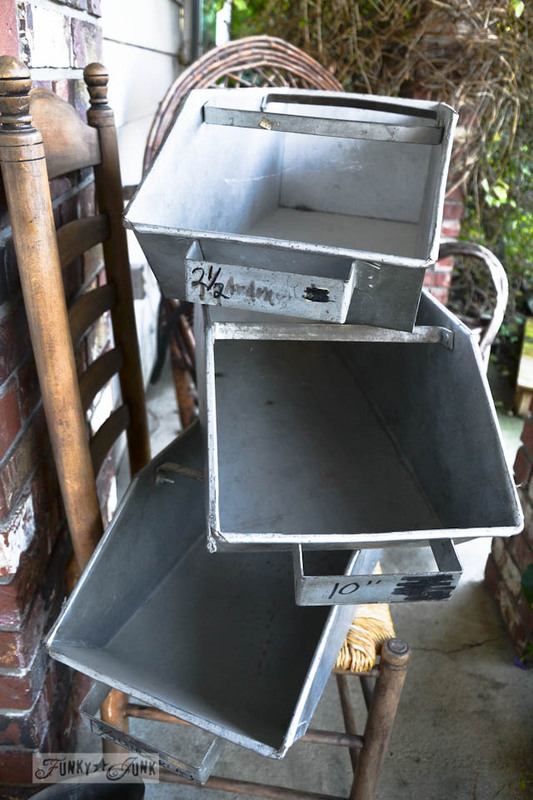 Stacked vintage metal bins begging you to fill them up with anything but Trolls. Yes, I’m grasping. Can you tell? Pure art! With no Trolls in sight. Say oh my to Lost Hood. 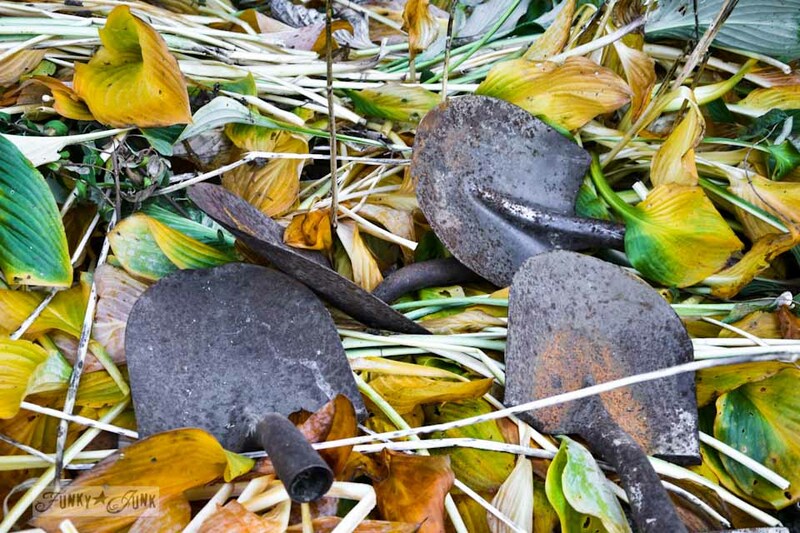 A sprinkling of rusty shovel heads having no where else to go. Or anything else to do. Because they’re only shovel heads after all. Say oh my to Iron Thrown. Get into the automotive vibe and throw these (whatever they are) near your truck for that breakdown drama effect. Pinterest… get ready for this one. 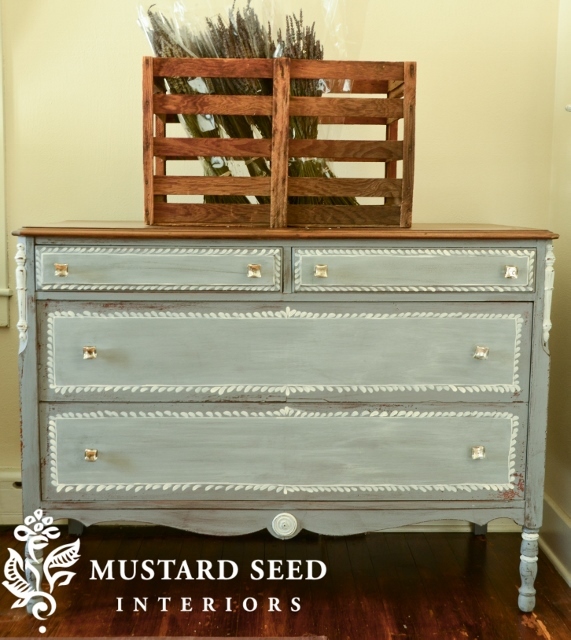 All kidding aside, I so admire how Miss Mustard Seed’s Marian stages her milk paint line. I cannot wait to try it and a few other wood and metal products one day soon! When I order some. I should do that. Maybe if I took the time to do that instead of this silly post I’d have some! Marian, please just send me what you think I need. Maybe it’ll happen then. 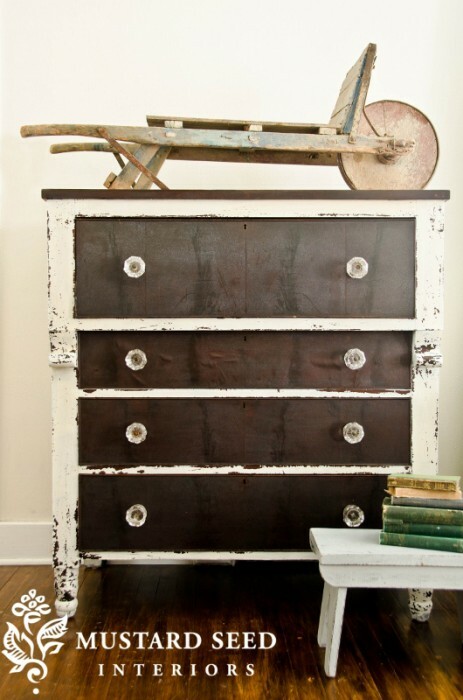 Yesssss….get some milk paint and give it a whirl…..it pairs nicely with rusty junk!! Well, I have worried about what the neighbors think and no one can see in my backyard. Except when the guy next door hangs lights, which is going to happen soon. He will be so glad to know that nothing has changed since last year. Heading to MMM for my fix, since you definitely left us to our own volution. I want my fireplace surround to take on the hand carved look of the dresser drawers. 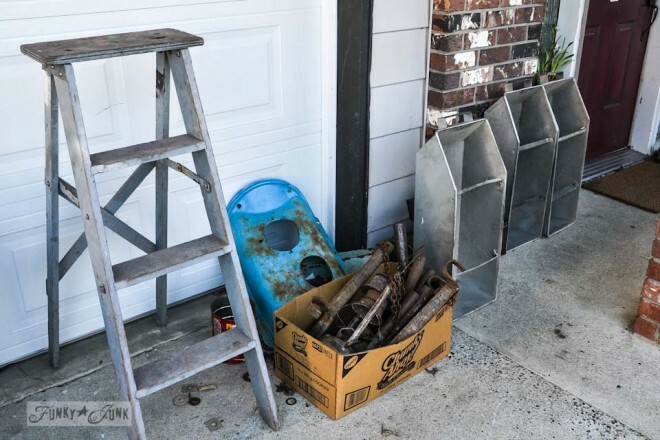 And when you fill/repurpose those metal bins…. waiting for you. I have a few sitting by the shed. Great post! I love your sense ofhumor and y our style. Glad your friendship is intact. I love Miss Mustard Seed’s style too. Love your post. You both are amazing! hahhahh…love it! Don’t you both have a great gift! and senses of humour! 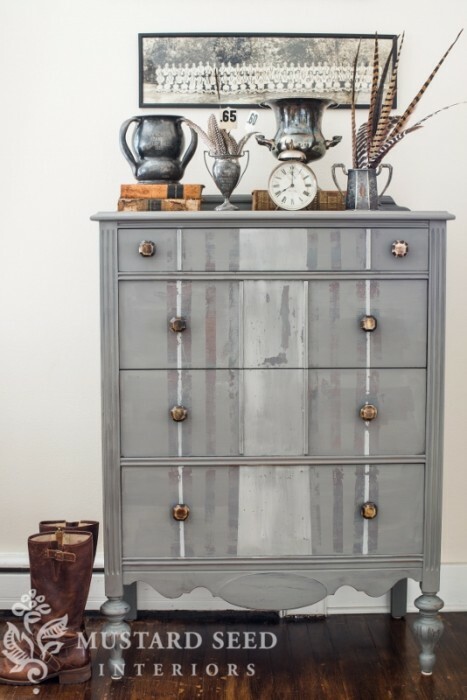 MM painted dressers are stunning! I know you will relate when I say that we are very quick to open & close our garage lest anyone think we are hoarders! But thats what loving VINTAGE is all about! Thoroughly enjoyed this post and you should seriously get the MMMP and get colouring your life a bit…. cos your junkin sure is fab and your colour eye is fab too- so the combo will be EXCELLENT!!! Love this post! 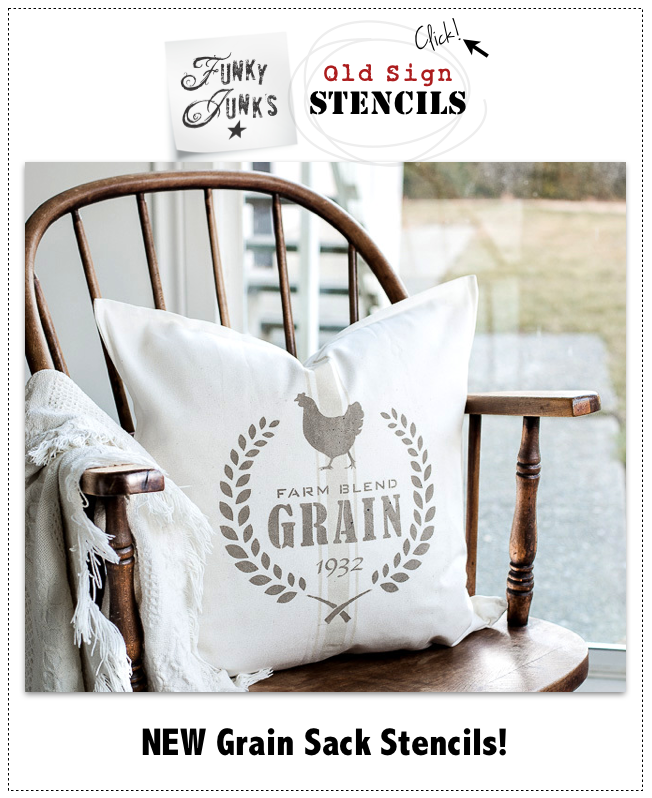 Not so sure about milk paint since I discovered chalk paint. 🙂 http://www.chalkpaint.com (and googling to find ways to MAKE) chalk paint rather than $40 per quart real deal. I like that I do NOT have to prep furniture (sand, etc) with chalk paint. Sound intriguing? Can’t want to see what you post next!! 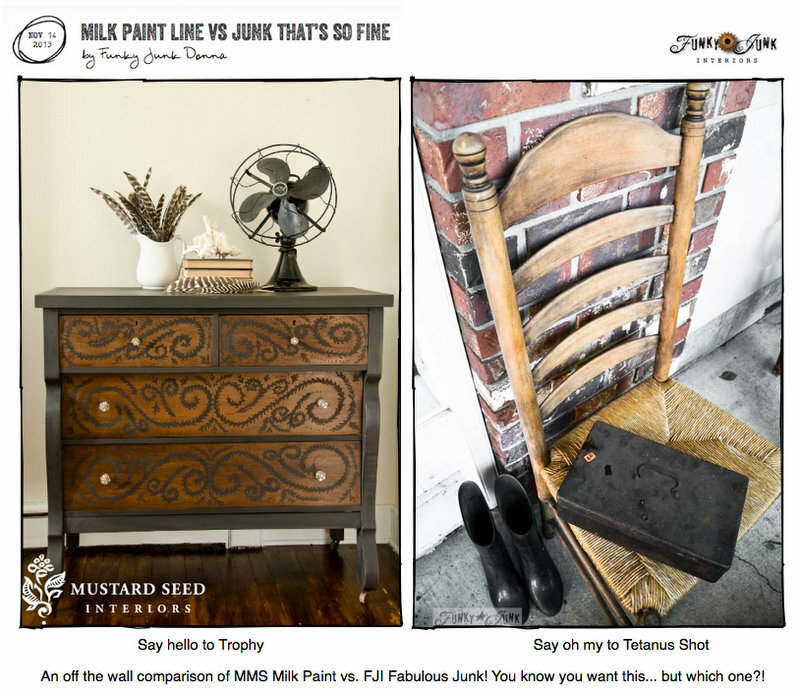 You are two of my favorite bloggers, if there was a Funky Junk meets Mrs Mustard Seed store, I’d be your best customer! Oh, Donna! If your neighbors don’t appreciate the artfulness of your exterior decor, maybe I should move in next door instead! Then you could decorate my front yard too! You’re so funny and Marian is awesome, just like you!! 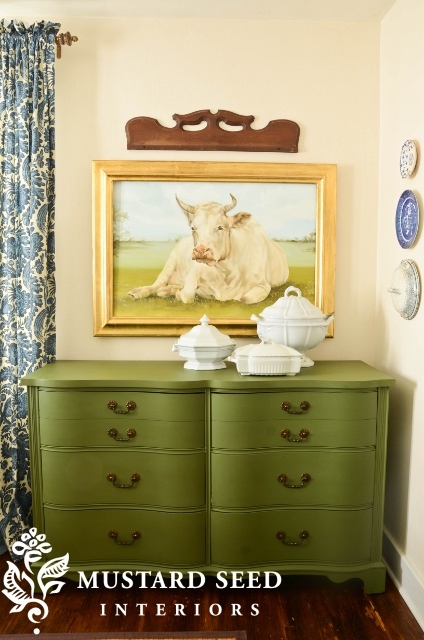 If I had to pick one her dressers or a can of her wonderful milk paint over one of your rusty finds, I’m not sure what I would choose! Love it all!!! My two favourite bloggers in one shot! Heaven! A very funny read & yet still full of milk paint & junk eye candy. What a silly post.. I love it! You have a great sense of humor. Very funny post–love it! And I love both your blogs too! Yes, I’d frequent a store featuring you both too–wouldn’t that be the best? Love it! This had me giggling out loud…and I am home alone! I so enjoy you and Marian and the way you both take things that have seen better days and transform them into beautiful, useful art for the home. Thanks for a great start to my weekend! What I want to see most of all is your inventory…..To drool over the amount of metal/rust in one spot…That’s sick but you know the feeling. I love it all! A little bit a paint mixed with a little bit a funky junk!! Oh my, I love you both. Different routes to beauty and satisfaction. You each inspire different parts of my imagination. I love it! So cute! My smile for the day. I love your blog and Marian’s too. I get inspiration from you both. Thanks. 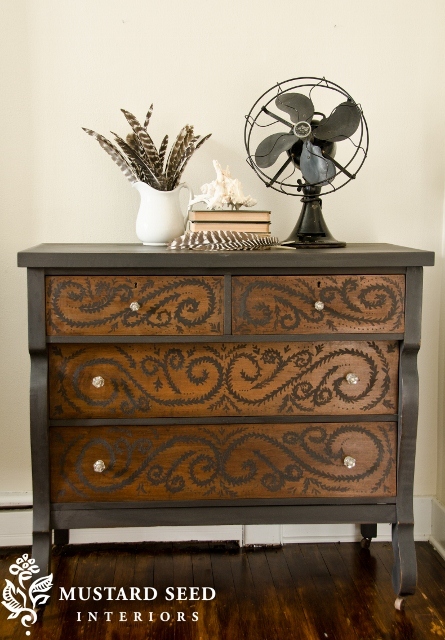 And by the way, her milk paint is amazing. I can’t wait to see how stuff will look! Oh my! Love it all!! And your neighbour is so fortunate to live close to you!!! 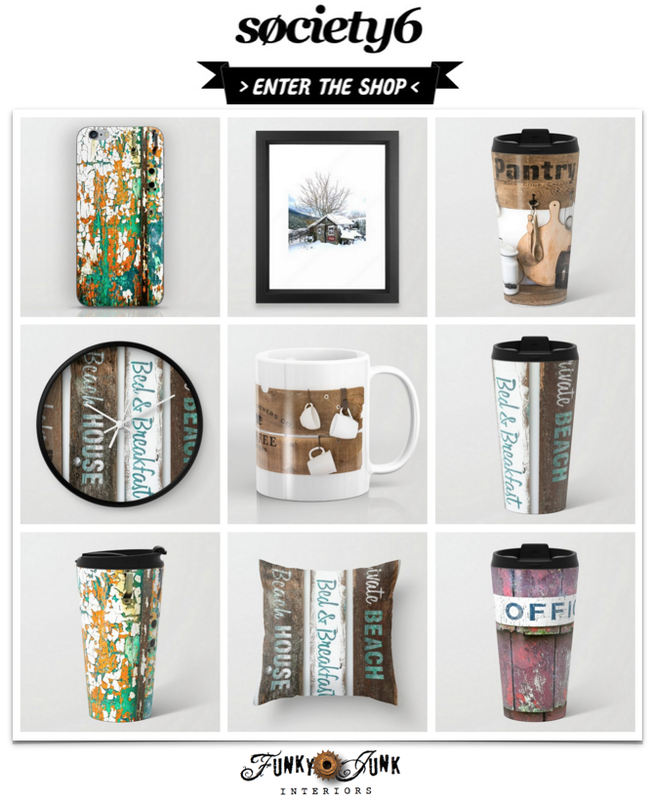 I came across your website by happenstance and I love it. I’m a junker from way back and never realized it. attraction for all to visit. Being an art teacher once with a limited budget I saved everything knowing I could create functional items of beauty with them sooner or later with my students in my crafts classes. At anyrate, I am in awe of your creativity. Thanks for sharing, love your website. This was HILARIOUS!! And totally my kind of post! Thanks for the laugh and the great pictures of the junk!! Bwahahahaha! Hilarious. 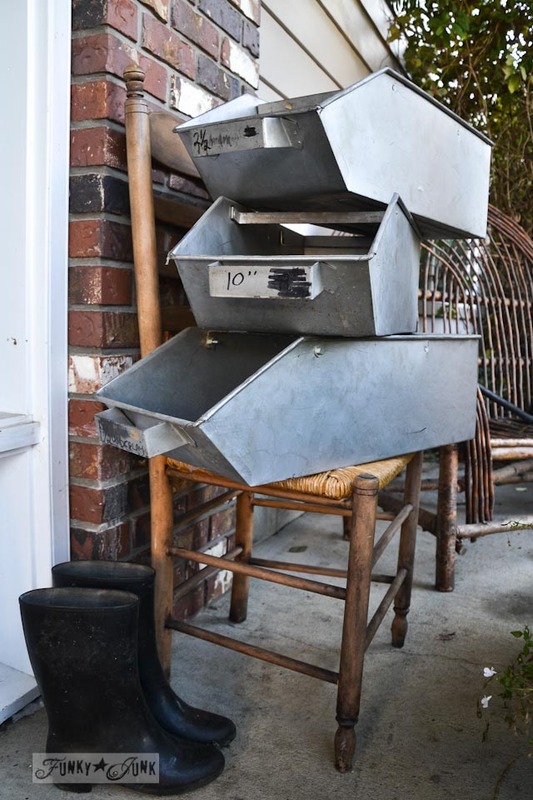 I want those metal bins! You know I love this post. I could pick a Marian photo and a Donna photo out of ANY line up! You both have such distinct styles – and they come through in everything you do – both of you! MMS & FUNKY JUNK are the only two blogs I follow. Thanks for the post–loved it! I “get” your junk. Thanks for the inspiration to follow my rusty heart. You both have amazing taste. Love you both! This post is such a hoot. 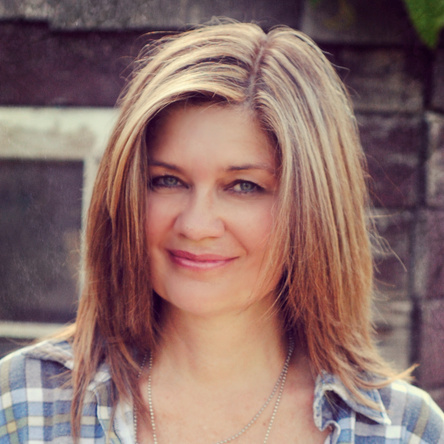 I love both your blogs and feel Marian is getting a real chuckle out of it! I love her presentations so much, so classy. i laughed out loud at your iron thrown! Especially since I just dug through my husbands rusty old wrenches less than an hour ago and picked four to ponder their real purpose, in my mind, of course. 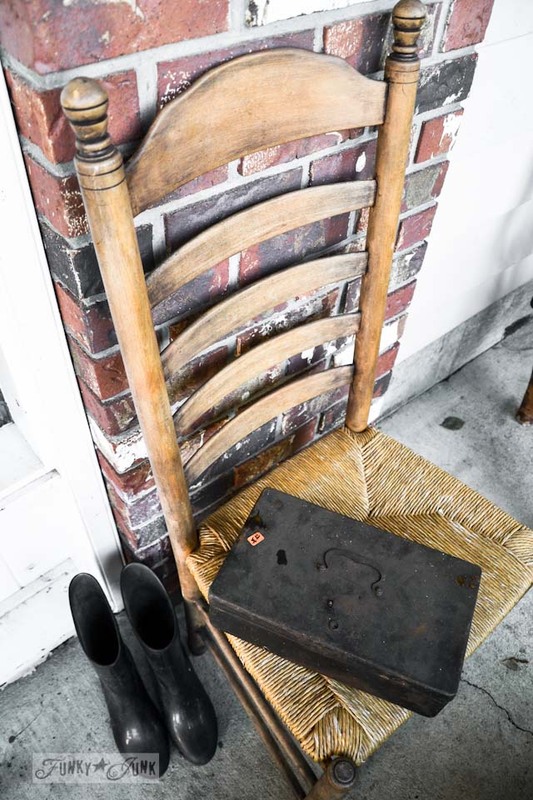 I’m thinking photo holders, like the stuff Mamie Janes does. Keep up the great posts. Ah yes, I’m still in the collecting phase, but I do need to get into the planning/doing phase! Thanks for all your fun inspiration! You are a cheese ball and I love you. I snickered through the whole post. I also wonder if my neighbours wonder what is going on at my house. Alternately, I live next to the house where Toyotas live wild and free on the front lawn (it’s quite scenic), so maybe no one is too concerned. Cracking up! 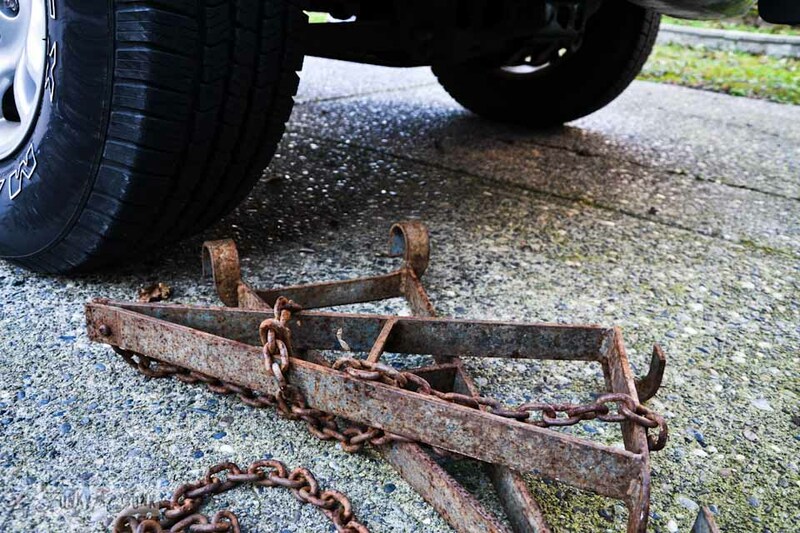 Toyotas wild and free… any rusty?! Nope. They don’t even manage to make it that interesting. All late model. All parked on the lawn. I love this post. So fun!